I would love to hear some feedback sometime, guys. =P Or discussion or something -- feel free!! Patch 2.5 Dungeon Sneak Peek, Part 2! Today's sneak teases some of the Main Scenario and Side quests we're gonna see next week! 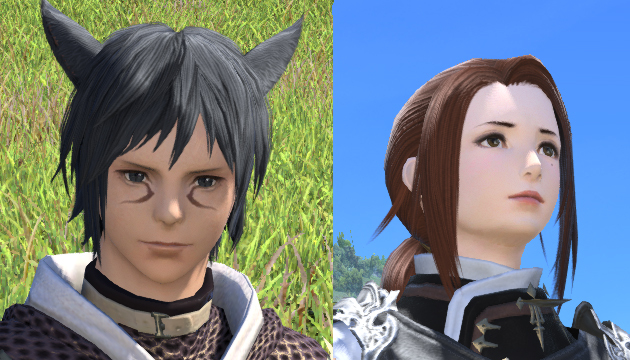 JP Dev Blog: New Hairstyles! You will be pleased to hear that PayPal is now available to use as a method of purchasing Crysta! We understand that many of you have been waiting patiently to utilize this payment option and we wish to thank you for your patience while we worked to get it implemented. As discussed in the Letter from the Producer LIVE, we will be releasing a new mode for Frontline that introduces new rules and features in Patch 2.5, as well as a daily roulette. With Patch 2.5 right around the corner (Less than a week! Hype! ), we don?t want to give too much away, just know that PvP is still very much on the dev. team?s radar.